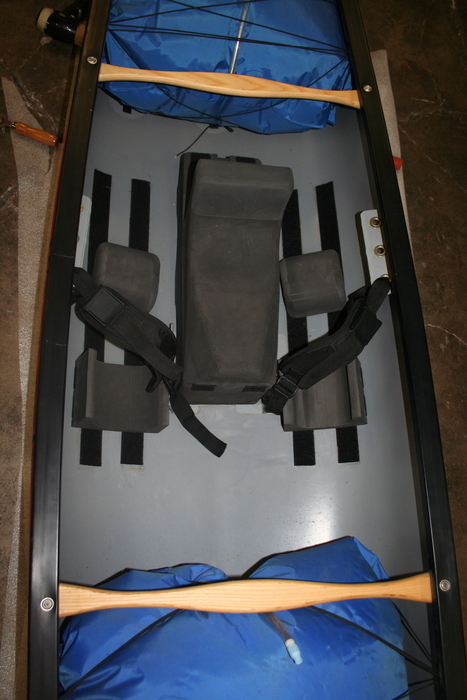 The complete kit includes : Foam canoe saddle/pedestal with knee & ankle supports, T strips to anchor thigh straps, velcro strips for pedestal, knee & ankle support to anchor to canoe and adjustable foot brace. The top section of the saddle seat is adjustable along with the knee and ankle support being adjustable too. Made with high density closed cell foam.